This week, a new PHE campaign warned that ongoing heartburn can be a sign of cancer. The campaign urges people to visit their GP if they suffer heartburn most days for three weeks or more, as this can be a sign of oesophageal or stomach cancer. Nearly 13,000 people in England are diagnosed with oesophago-gastric cancers each year with over 10,000 dying from these diseases annually. PHE’s National Director for Health and Wellbeing Kevin Fenton describes behavioural science in the digital age as a “public health game changer”. This week he talked about how tech can help people make healthier choices (Health Service Journal). Listening to young people is key in how we develop our priorities and work programmes. It also played an important part in the creation of Improving young people’s health and wellbeing: a framework for public health, which we launched this week. Also read about 19 year old Rachel’s story in a blog published earlier in the week, which gives her account of a National Takeover Day visit to PHE. You might also be interested in our Young People's Profiles, which allow professionals to see how their area performs against the national average - and against other local areas - when considering the key public health outcomes for young people. With ice and snow across the country this week, PHE has been urging everyone to look out for vulnerable people, who are often the most severely affected by cold weather. Every autumn we publish our Cold Weather Plan, which sets out a series of actions that health and social care organisations, voluntary and community groups and individuals can take to plan for cold temperatures and help reduce cold-related illnesses and deaths. If you’re working on the NHS Health Check take a look at the learner and assessor workbooks which were published this week. Meanwhile, this year’s NHS Health Check conference is open for booking. We reminded primary school teachers to look out for their Change4Life Snack Swaps packs. 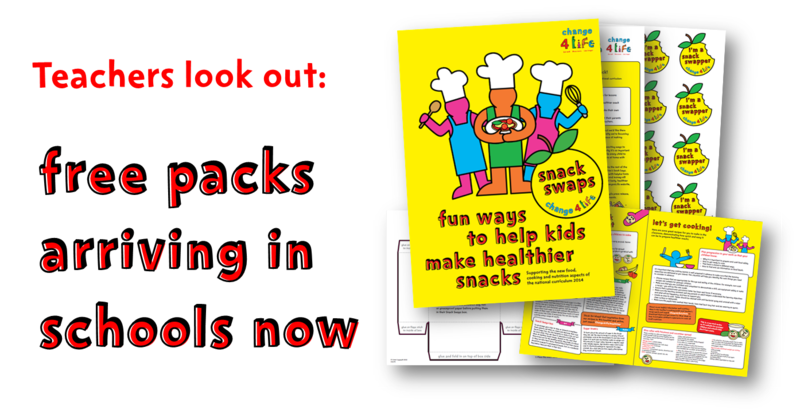 The Snack Swaps packs (above), currently being delivered to schools, are filled with recipes and ideas to help teachers introduce cooking and nutrition into their timetable, and plan exciting cookery lessons for Key Stage 1 and Key Stage 2 children. This week we updated our online Ebola public health Q&A. If you’re a health professional be sure to keep track of our regular Ebola guidance updates. You can also follow the link on the guidance page to subscribe for regular updates sent to your inbox.